The study estimates that in the most affected area – unsecured personal lending – the disruptors, led by Lending Club and Prosper, already had a 1.8% US market share at the end of Q3 2014. 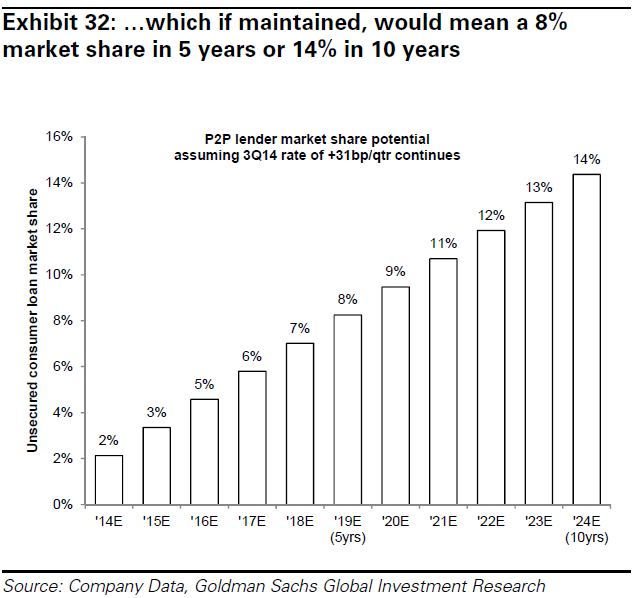 Assuming that growth continues, then p2p lenders will reach 8% US market share in 5 years. products to adjust, driving potentially lower returns. Second, some could be forced to acquire, which would likely cannibalize the existing business. This opens the debate whether you are better to cannibalize yourself at the expense of your current business model or remain under attack. 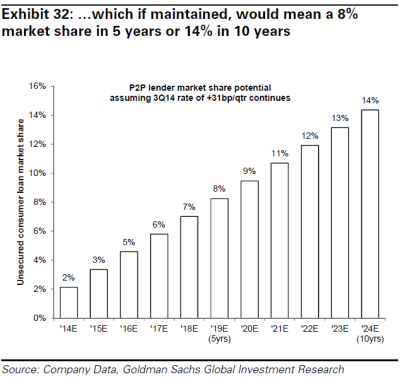 Lastly, incumbents could pursue new regulations …‘.